Looking for authentic Korean food? 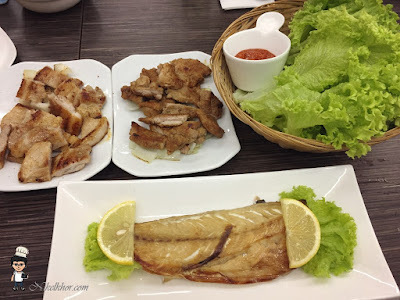 If you don't mind to travel 30 minutes from Johor Bahru, Arirang Korean BBQ Restaurant could definitely surprise you with their tasty Korean cuisine. 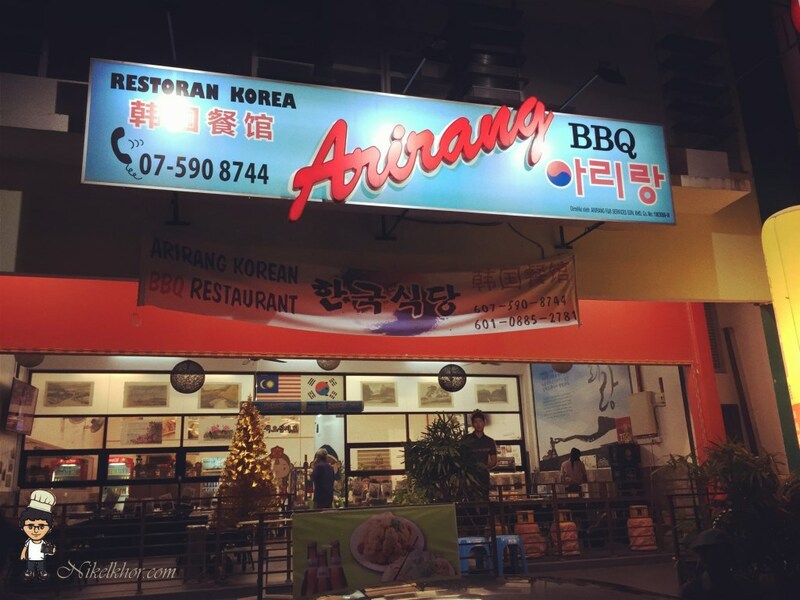 Arirang located in Bandar Putra, Kulai, not far away from the Hutan Bandar Kulai. Despite its remote location, the restaurant is quite crowded with patrons on a Saturday night. As usual, side dishes were served first. 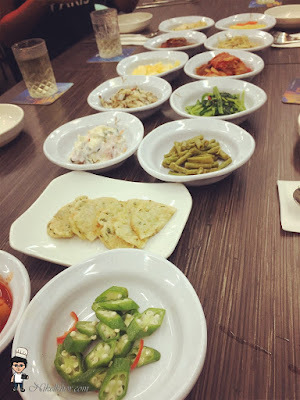 I am always delighted to see the table filled up with various side dishes of different colours, this is one of the best parts about Korean food. The cold yet attractive side dishes definitely open up our appetite prior to the commencement of heavy meaty meal. Although the side dishes are refillable, please slightly resist from having too much of side dishes and save some space for the main course. 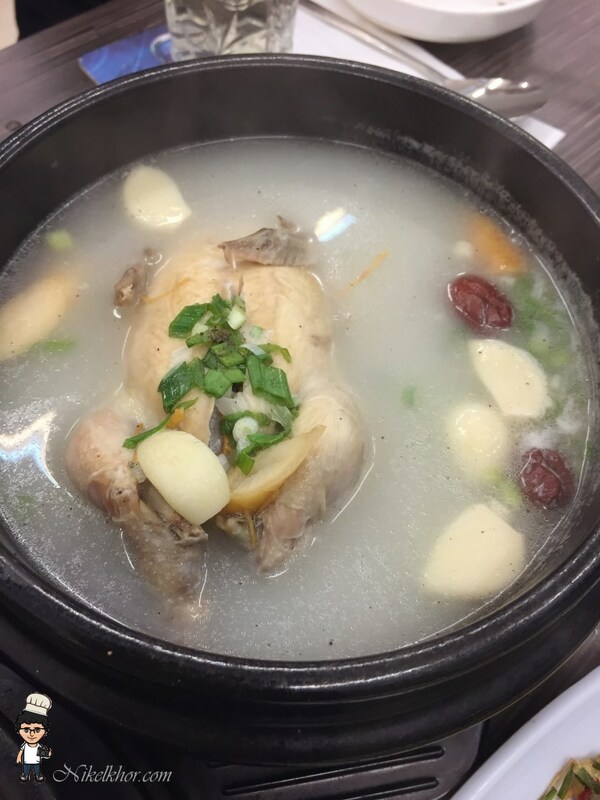 Korean Ginseng Chicken Soup is a heart and stomach warmer especially during cold rainy day. We had the soup in Chinese way (i.e. have the soup with some of the chicken meat) and the Korean owner actually corrected us, he came forward and cut the chicken into pieces using soup spoon, mixed the glutinous rice stuffed in the chicken well with the soup, making it look more like porridge, so that we able to taste every single ingredient in the soup. 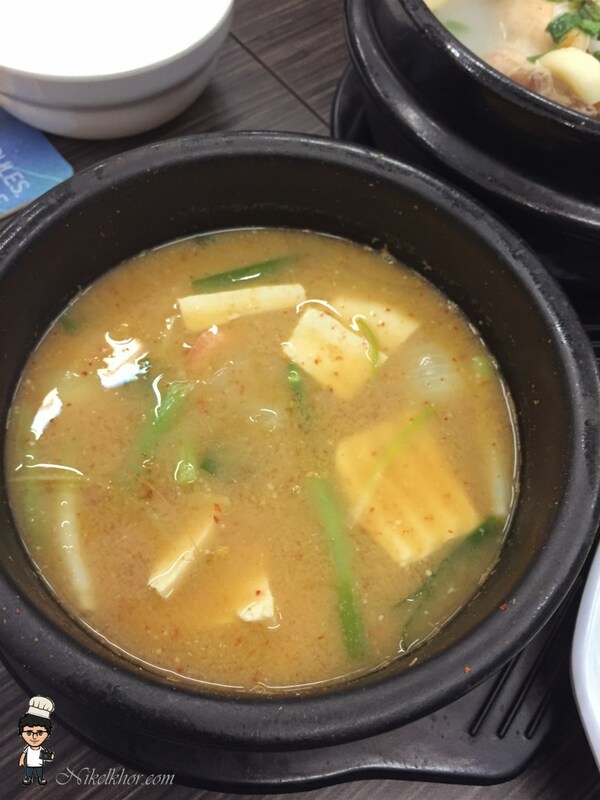 We opted for bean paste soup instead of the normal kimchi soup and its taste has indeed surprised us. It tasted savoury with the fragrance of fermented bean, very good to go with rice. 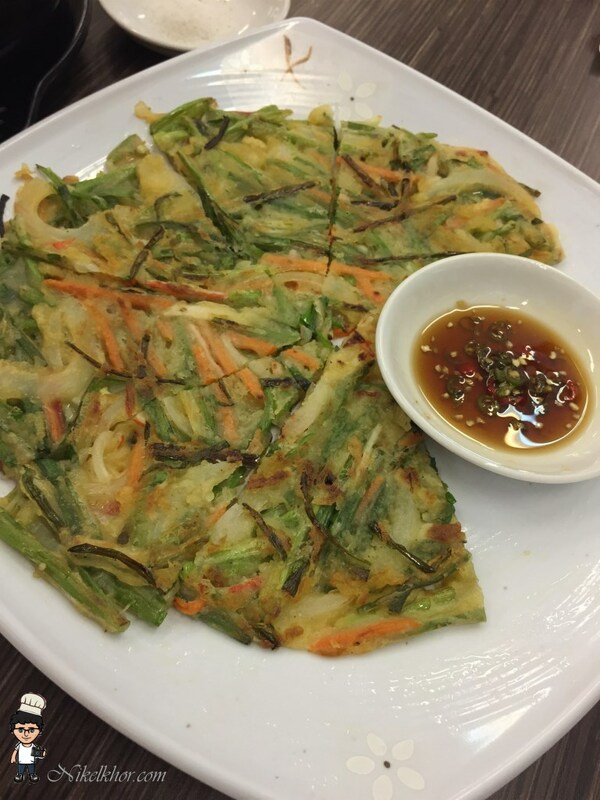 Another not-to-missed dish -- seafood pancake. It is at its best when served hot. Here come the leading role in our set meal. The barberque meat was personally grilled by the Korean owner outside the restaurant, so we can enjoy the barbeque meat in a non-smoky environment. If you think Korean BBQ is best to be eaten with the grilling in front of you, you can still walk to the outdoor and have a chit-chat with the Korean owner while seeing him grilling the meat for you. 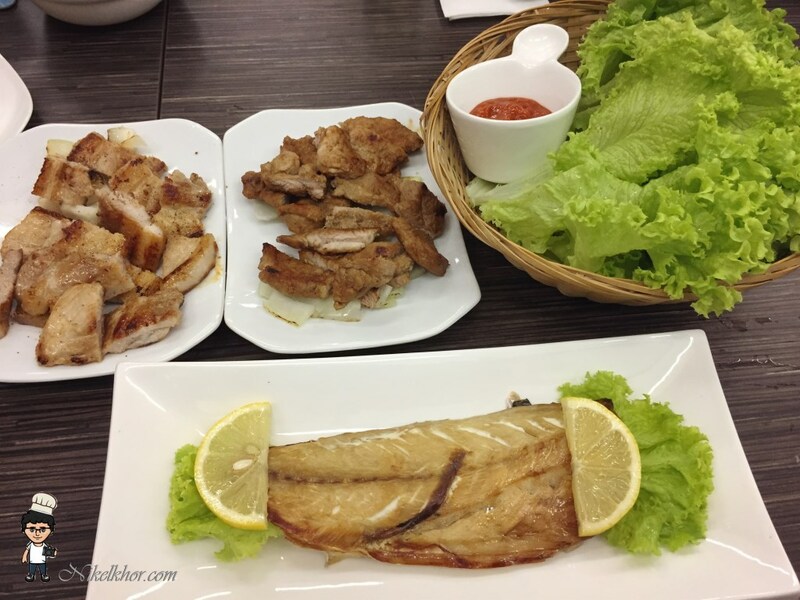 The BBQ meat are well marinated and grilled to perfection I would say, you can eat the meat alone or wrap it with the lettuce and the add some of the bean sauce and garlic, which is less sinful and with diversified texture.